To win your pinewood derby race, you need to know ALL the winning secrets. Our Winning Pinewood Derby Secrets book, with over 50 speed tips, gives you everything you need to make a competitive, winning car. Pinewood Derby in Six Steps helps beginners with basic car building, while providing essential speed tips. Best of all, you can download these books instantly! Want to know who, what, where and how pinewood derby was started? We are the exclusive seller of the book written by Don Murphy, the inventor of pinewood derby. Winning Pinewood Derby Secrets gives you all the latest speed secrets so you can design the fastest car and avoid mistakes that can slow your car. Proven results with 1000's of winners for over 15 years! Pinewood Derby in Six Easy Steps shows how to design and build your car along with essential speed tips to make your car competitive. Quick, Easy, Essential! 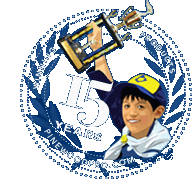 Pinewood Pro’s books have helped pinewood derby car builders win races for over 15 years. Our eBooks can be downloaded instantly or if you prefer a hard copy, we will ship it to you. Our newest book, Pinewood Derby Fast and Furious, sold in hard copy only, includes over 100 illustrations and 23 car design patterns. This book is published by Fox Chapel Publishing and includes the forward written by Joe Gargiulo of Pinewood Pro titled, Pinewood Derby...More than Just a Car! We have everything you need to have fun building a cool, fast pinewood derby car.